As the last continent on Earth to be explored – and still the least developed – Antarctica may yet fall prey to the onward march of human civilization, but its lack of resources beyond ice make it an inhospitable place to build. 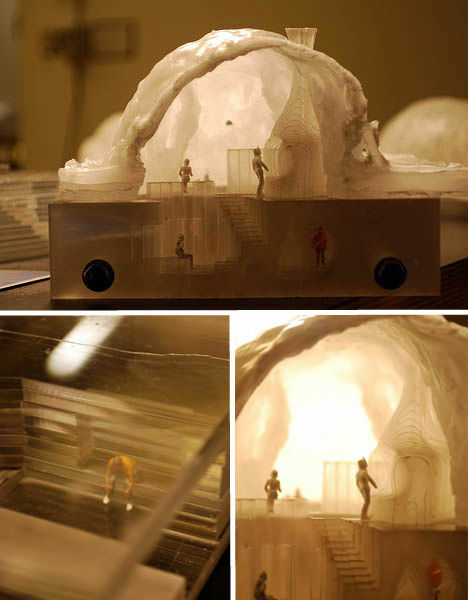 Architecture student Taylor Medlin of the University of California at Berkeley has developed a thesis project packed with ideas, and while some may be fantastically tongue-in-cheek, the project itself is a work of art, revealing tiny worlds cut into the ice. Medlin’s architectural proposals use various forms of ice as the primary building material rather than unsustainably transported materials from other continents, often reinforced with a variety of additives that could make the ice stronger and easier to work with. 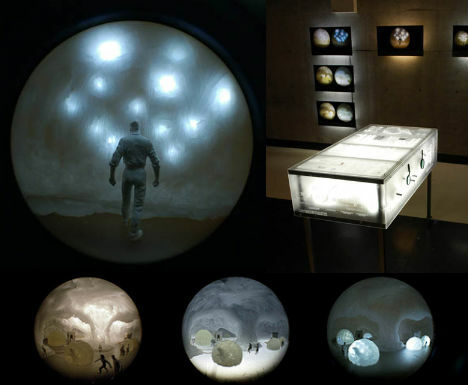 A refrigerated display cabinet holds blocks of ice and wax carved into little rooms, illuminated from within, complete with human figurines that illustrate Medlin’s ideas with stunning detail. 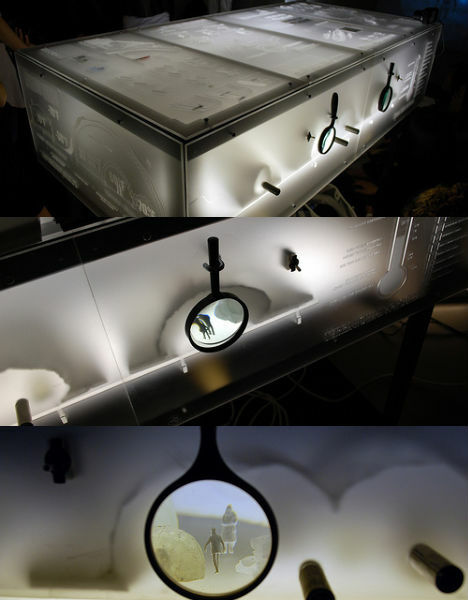 Reminiscent of the miniature models of Thomas Doyle, these rooms are visible through both fisheye lenses that peer inside and magnifying glasses fixed to the outside of the case. 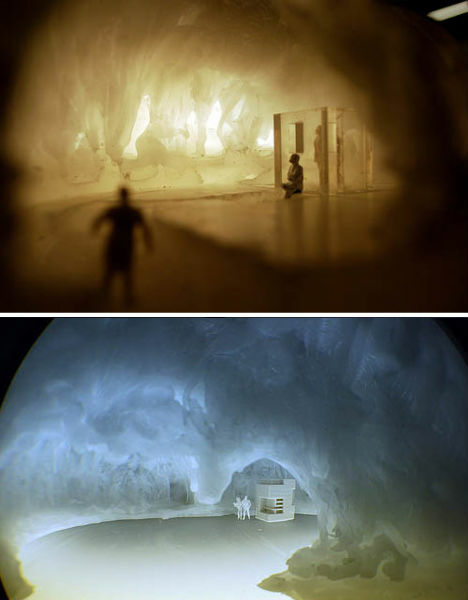 Entranced viewers find complex compounds with steel frames, huts on stilts and simple ice caves with secret subterranean basements, all bathed in an eerie golden light. Medlin, a John K. Branner fellow, has many more photos of the project and scans of his sketchbook available on Flickr.